Every lottery is open for certain city, for example Tbilisi or Warsaw. So you must be in this city to pick your prize yourself from a shop (it’s because sending wine by mail is restricted). Winner can pick the prize immediately. 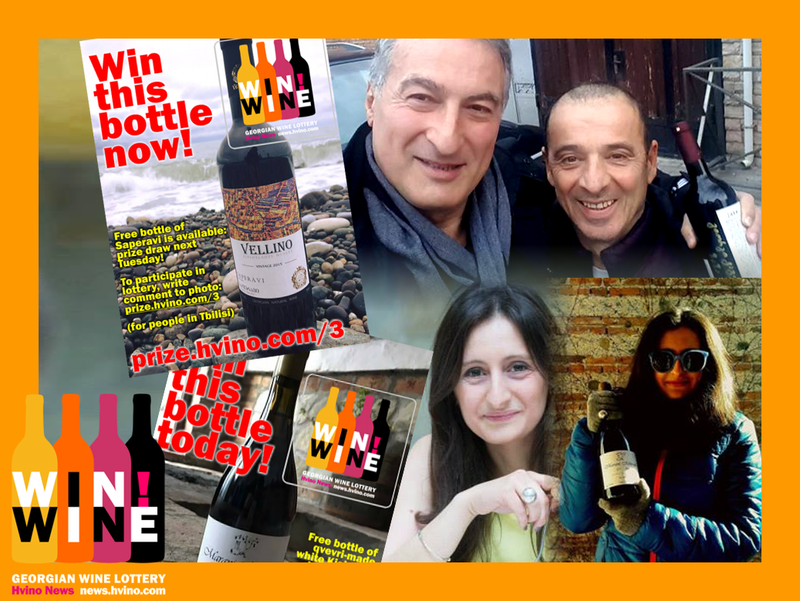 After the winner gets the prize, he/she is asked to take a “selfie” with the prize bottle, and to post as a final comment. Currently the Prize#4 - a bottle of white unfiltered organic wine from Jakeli - is available. To participate, write any comment to the photo: prize.hvino.com/4 (attention: Just a “like” is not enough, you must write comment - any text in any language).